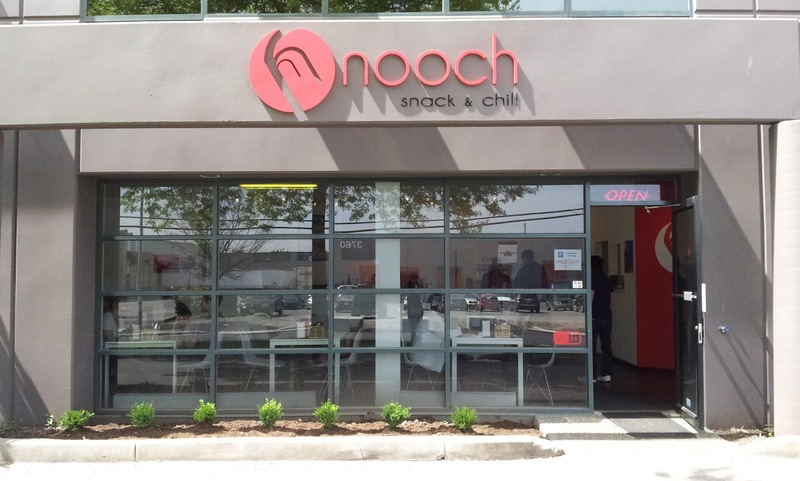 A couple weeks back, a friend of a friend invited me out for lunch at Nooch Snack & Chill on Jacombs Rd, just behind the new IKEA. It is a food desert near where I work so it was awesome to find out that this little eatery has opened nearby. It's name says it all, you snack and chill. 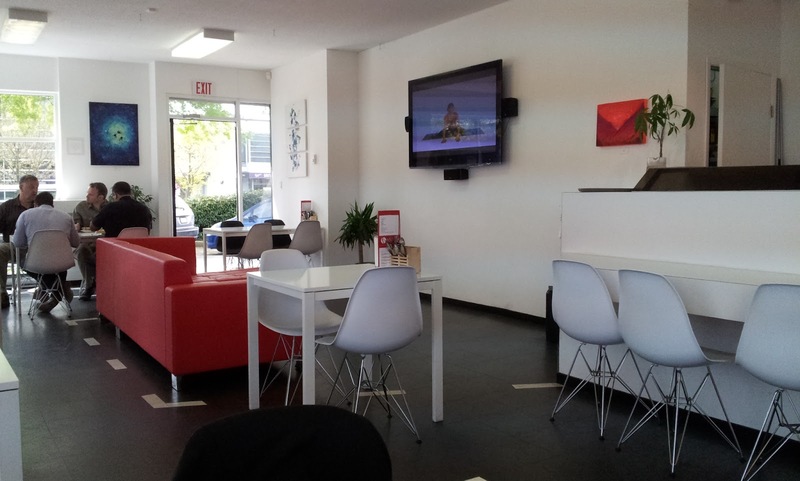 They have modern furniture with a cool lounge where guests can just sit back and watch the game or whatever is on. 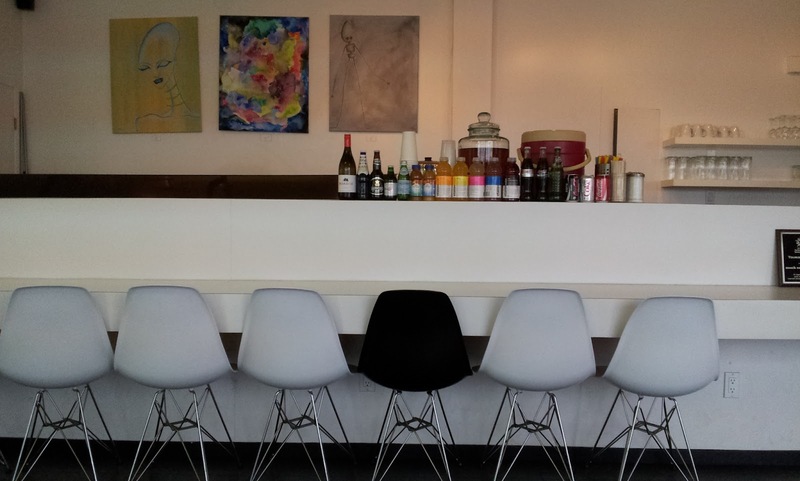 There are also artwork hanging on the wall which you can purchase if you'd like! I ordered a Pesto Turkey Panini - Turkey, pesto, spinach and mozzarella. Each order of sandwich or panini also comes with a salad and kettle chips. Yum! Obviously it gets a little busier at lunch time during the weekdays. I bet IKEA employees like this place more than the IKEA cafeteria. 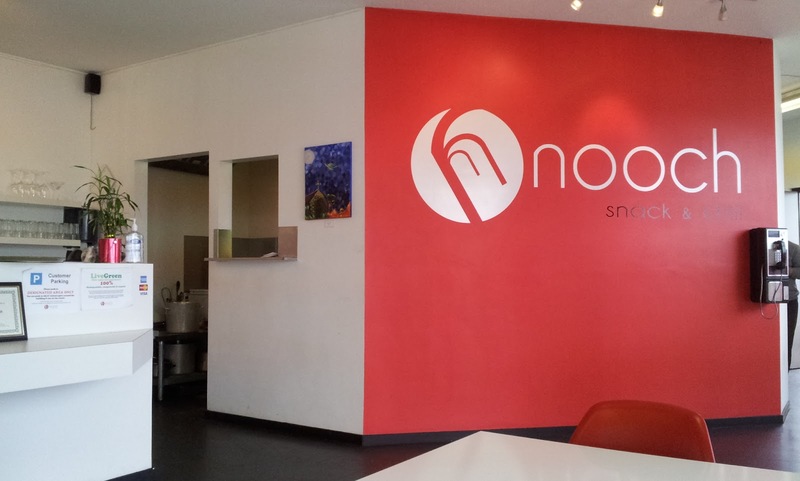 Nooch uses only the freshest ingredients in their menu so if something runs out, they run out. This happened to me where I wanted to try the Roast Chicken Panini but they had run out of chicken I think. Nooch was a great place to have lunch or hang out. 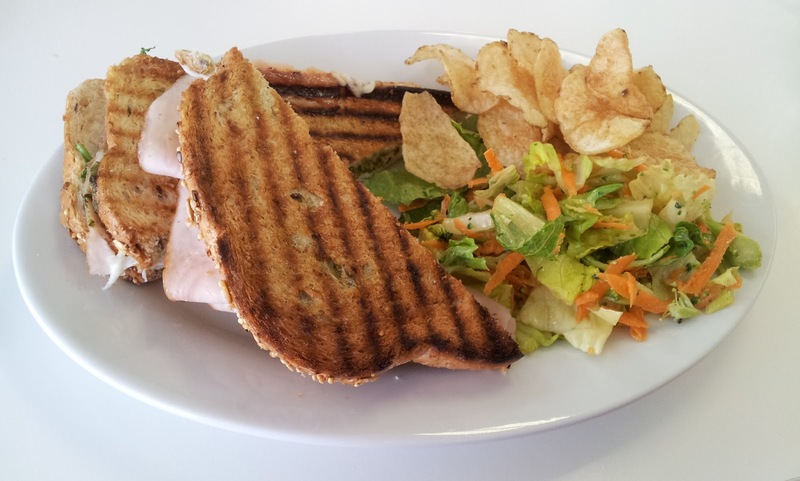 The panini was delicious and was at a reasonable price and the service was nice and friendly. They also cater! 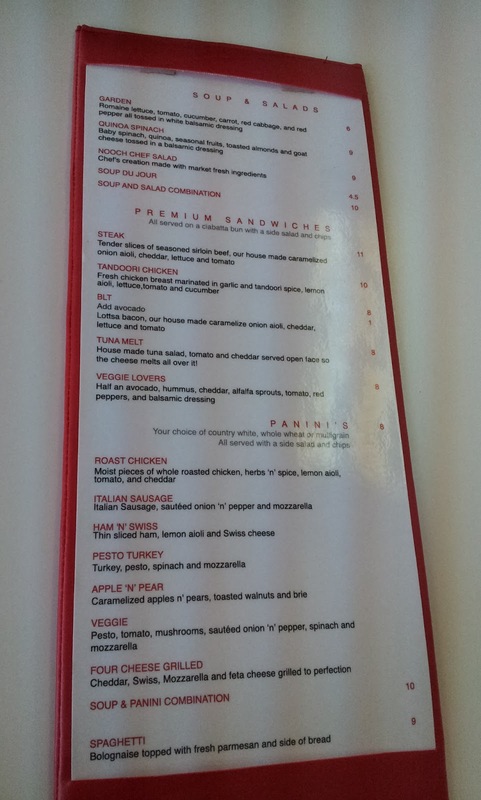 So if your office needs to order a lunch, why not consider them?